Moving Connections is your local Sandy City mover that can handle whatever moving needs you have. We not only handle residential moves, but we also do so-called "labor only moving help" moves and corporate relocations. Moving Connections even offers setup and takedown services for exhibits and display booths, as well as transport and assembly services for those requiring a professional hand in putting up backyard trampolines, playhouses, furniture, and things of that nature. When you consider that Moving Connections has been rated one of the best moving companies in Utah many times over the years you realize what a great moving deal this is. Moving Connections is top rated mover committed to providing the highest professional moving service available while maintaining competitive and straightforward pricing. So if you’re contemplating a Sandy move and would like a quick, free Sandy move price quote, please give us a call or you can send us an email and we will get back to you. Either way, you owe it to yourself to check out Moving Connections before you make a final decision on your Sandy City move. Moving Connections is one of the top moving companies in Utah. 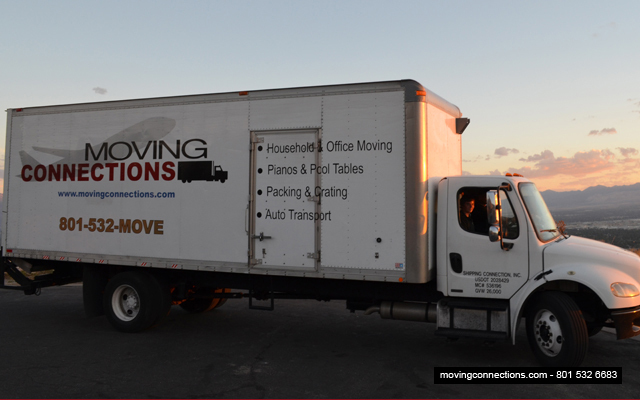 If you’re considering a Sandy, Utah residential move or corporate relocation, then give Moving Connections a call, or contact us by email:support@movingconnections.com to get an Moving Quotes or to discuss any questions you might have about your American Fork, Utah transition. In fact here is where you get an instant free estimate either by phone or desktop. If Moving Connections is moving you to Sandy it's a perfect time to begin to utilize the many resources and bounties of Sandy. For example click on the picture to the left to go the Moving Connections 'Support - Advice - Assistance' page and discover Sandy for the first time. Once you are on the 'Support - Advice - Assistance' page go ahead and open the .pdf link found there and tape the list of emergency and useful phone numbers on your refrigerator. Moving Connections has gone to great pains to find those links and connections to integrate you quickly into Sandy life. Moving Connections are experienced in packing artwork and antiques and we can handle your move in Sandy City with special crates so each piece is protected against damage throughout the move. We offer our services to museums, galleries, auction houses and private collectors in Sandy City.